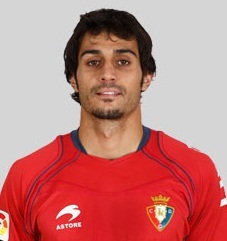 Alejandro Arribas contract expires in 2015 so that means in the summer he would only have 1 more year on his contract, he is 23 years of age and can obviously improve, his transfer value at the moment is also at 3 million euros, though its likely Valencia CF can get him on the cheap with 2 millions or less as Osasuna are fighting relegation and may drop to the second division, but even if that isn't the case they don't have much negotiating room. From what I've seen of him he is a decent option, Albiol would be preferred, but he is going to be too expensive and his salary would be rather large, so I don't think Valencia CF can afford him and that is why they are looking at Alejandro Arribas. Also he is Spanish and we all know Llorente is looking to add as many Spanish players in the club, so expect most of Valencia's transfer in the summer to be Spanish.